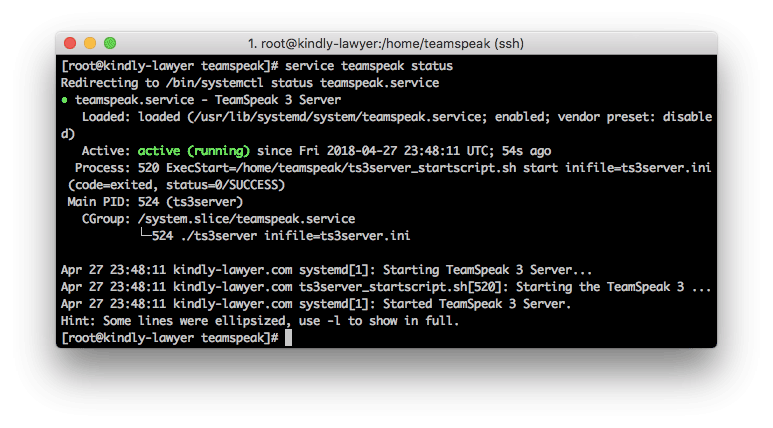 In this tutorial, we’ll show you how to set up a TeamSpeak 3 server on Linux, Windows, or Mac OS in a matter of minutes. If you need a reliable and lightweight tool to communicate with friends or colleagues, then creating a TeamSpeak 3 server is one of the top choices. By the end, you’ll know how to make a TeamSpeak 3 server on Windows, Mac OS, or a virtual server with Ubuntu 16.04 or CentOS 7. 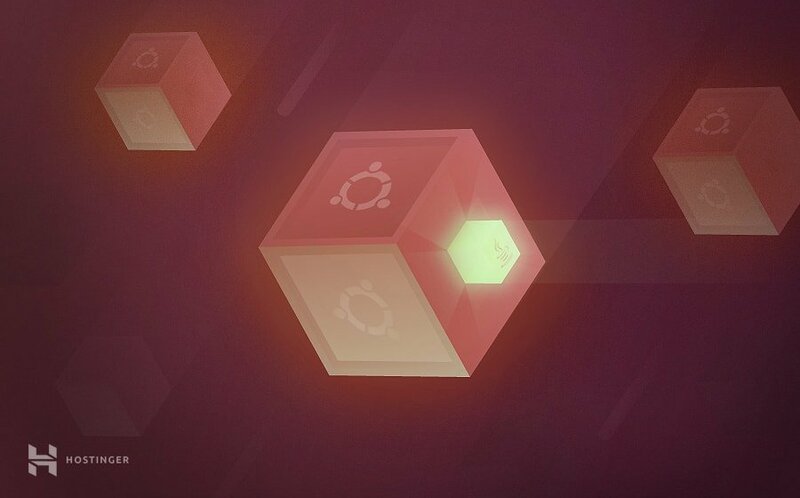 To begin, let’s see how we can set up a TeamSpeak 3 Server on a virtual server running Ubuntu 16.04. 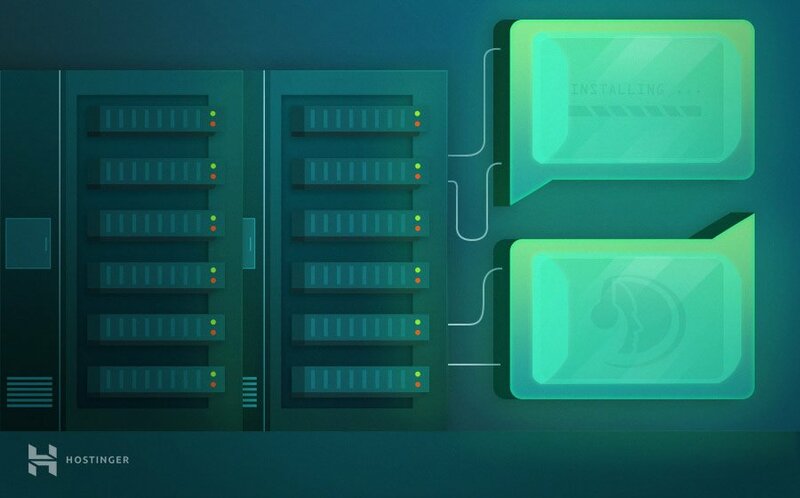 The whole process starts by accessing your VPS via SSH and can be broken down into 6 simple steps. This will create a new empty file called .ts3server_license_accepted, which will act as the license agreement. Paste the content into the newly created file and save it. Next, we’ll have to activate the script and make it start on server boot. The last step is to connect to the newly created TS3 server and apply the privileged key. 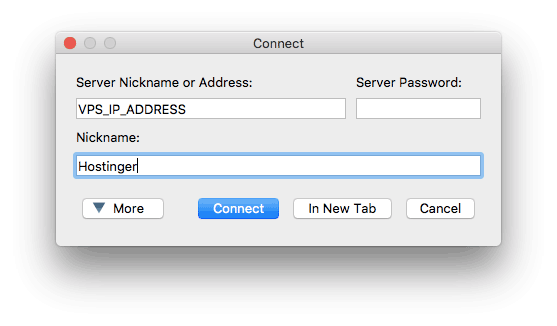 Use your dedicated VPS IP address when connecting. You’ll then be immediately prompted to enter the token. And that’s all! You’ve successfully created and connected to a TeamSpeak 3 server running on Ubuntu 16.04 VPS. A file named .ts3server_license_accepted will appear, which means that you agreed to the license terms. And finally, it’s time to use the created server! 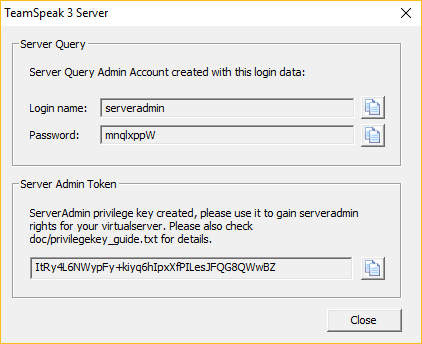 Establish a new connecting using the TeamSpeak 3 client and enter your dedicated VPS IP address in the Server Nickname or Address field. Once prompted paste in the previously retrieved privileged key. And there you have it! Your very own TeamSpeak 3 server running on CentOS 7 VPS. Windows operating system has a relatively easy TeamSpeak 3 server setup flow. Everything can be carried out in 3 easy steps. First of all, download the TeamSpeak 3 server software for Windows OS. Then, extract it in any desired location. Open the extracted TS3 server files and run the ts3server.exe installer. You’ll be prompted to accept the license agreement and asked if the firewall should allow this software to operate. Once done, you will get the privileged key and other useful information. Look for IPv4 Address value. You will need to use it while connecting. Lastly, you will need to paste in the privileged key to gain admin rights. And that’s all there is to setting up a TeamSpeak 3 server on Windows! 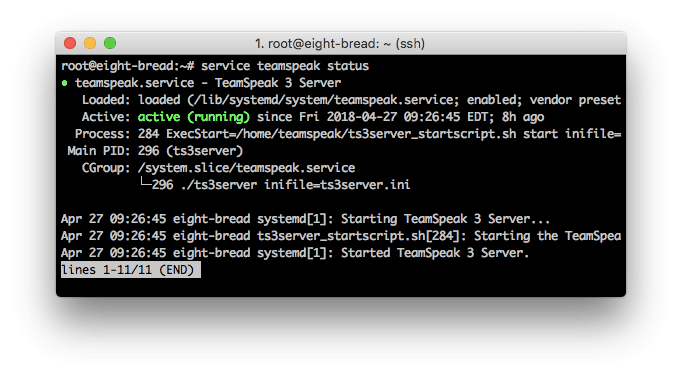 It’s also possible to create a TeamSpeak 3 server on MacOS. The whole setup can be completed in 4 simple steps. 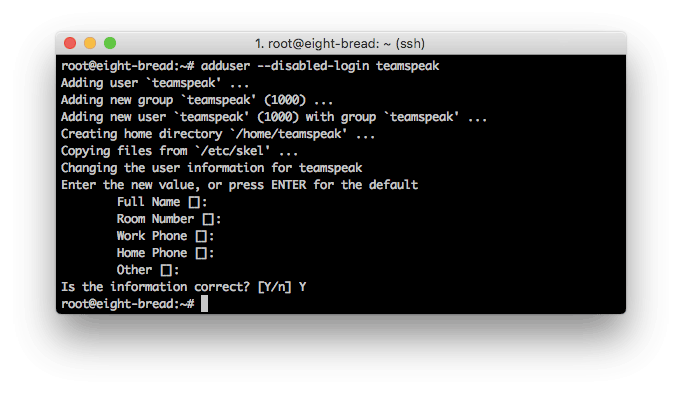 Start by downloading the TeamSpeak 3 server setup for Mac. Once finished, double-click to extract it. You’re now ready to use the TeamSpeak 3 server. When connecting, use the IP shown in System Preferences › Network section. Don’t forget to paste in the privileged key to gain server admin rights. Congratulations! You’ve created a TeamSpeak 3 server and connected to it on Mac OS! Now that you know how to make a TeamSpeak 3 server, let’s see how the connection process can be simplified. In this part, you will learn how to point your existing domain using a subdomain to the TeamSpeak 3 server you just created. This is handy if you want to reach your server using a domain name instead of the long IP and port combination. 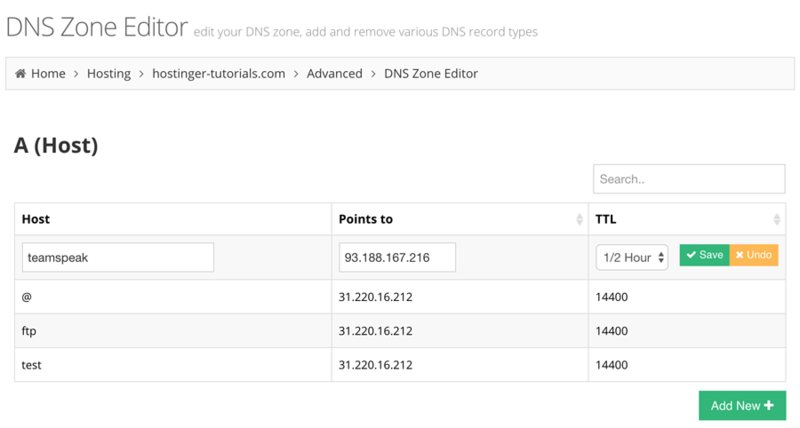 Access Advanced -> DNS Zone Editor and look for a section called A (Host). There, create a subdomain and point it to the TeamSpeak 3 server via A record. Host – Specify the subdomain name. Address – Enter the IP address of your TeamSpeak 3 server instead of the sample 93.188.167.216 address. TTL – Leave this to the default value. Click on a button Save button and proceed to the next step. While in the same DNS Zone Editor section scroll down till you see SRV management panel. Name – Here you must specify the service name _ts3 and protocol _udp, separated by a dot. The final result should look similar to: _ts3._udp.teamspeak.hostinger-tutorials.com. TTL – This term stands for Time to live, it limits the lifetime of this actual record. Leave default value here. Priority – Give this record the biggest priority and set the value to 0. Weight – So-called relative weight for records with the same priority, set it to 5. Port – Enter your server’s port, the default TeamSpeak 3 server port is 9987. Target – Instead of teamspeak.hostinger-tutorials.com enter the subdomain that you have created in Step 1. All is set, now just click on Save button. Note that it can take up top 24 hours for the DNS to propagate worldwide. You can also try to clear your own DNS cache. That’s it, you pointed a domain to TeamSpeak server via DNS SRV record. Now you can easily connect to your server using just a plain subdomain! In case you have any tips, tricks, or ideas, do not hesitate to share them with us in the comments below!